It's already mid October! We are so happy with all the fantastic entries so far --- thanks to all that have played along. And thanks to all that entered the Design Team call, which closes in 14 hours. The new team members will be contacted in the next few days. We hope our cards inspire you to play along. 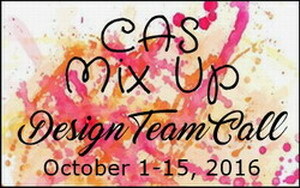 We are looking to add a few members to the CAS Mix Up Design Team. If you want to be part of a fun Design Team and love making CAS (clean and simple) cards with mixed media techniques and products, then why not try out for the team. 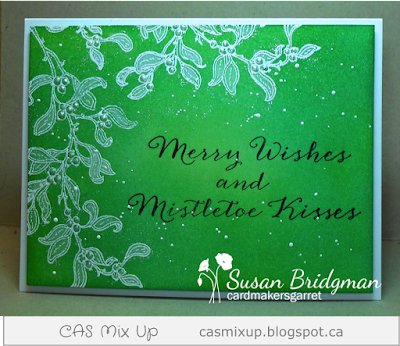 Create a CAS Mix Up card following October's challenge - Ghosting. Enter via the linky below and add DT after your name. Requirements for being a Design Team member: Must have a current blog and be able to schedule posts. Create two cards a month (going live the 1st and 15th of each month). Comment on assigned participant's entries. 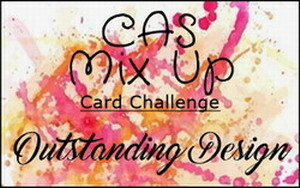 Vote on favourite entries each month. The Design Team call is open now and runs until Oct. 15th, 11pm PDT. Successful applicants will be notified by Oct. 18th. Design Team duties will begin in November. Ghosting Technique by Loll Thompson (4:28). 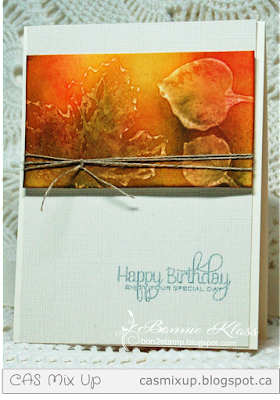 See Mac's sample card using this fun technique. 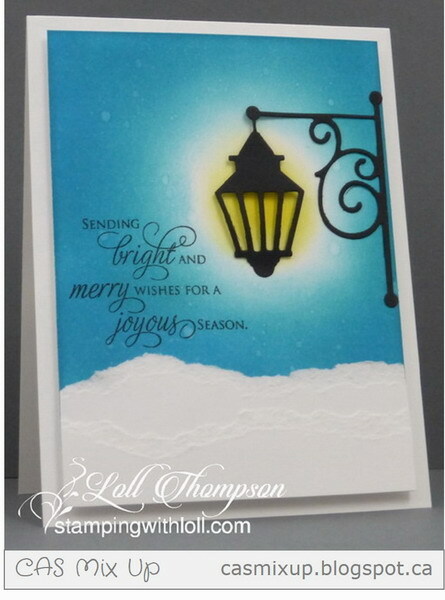 Loll's sample card combines Stencil Monoprint and Ghosting. Bleach without Bleach by France Martin (12:29). See Bonnie's sample card using this easy technique. The Design Team Call is open until October 15th. 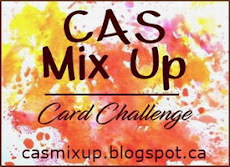 Make sure to check out the news below the CAS Mix Up October challenge. 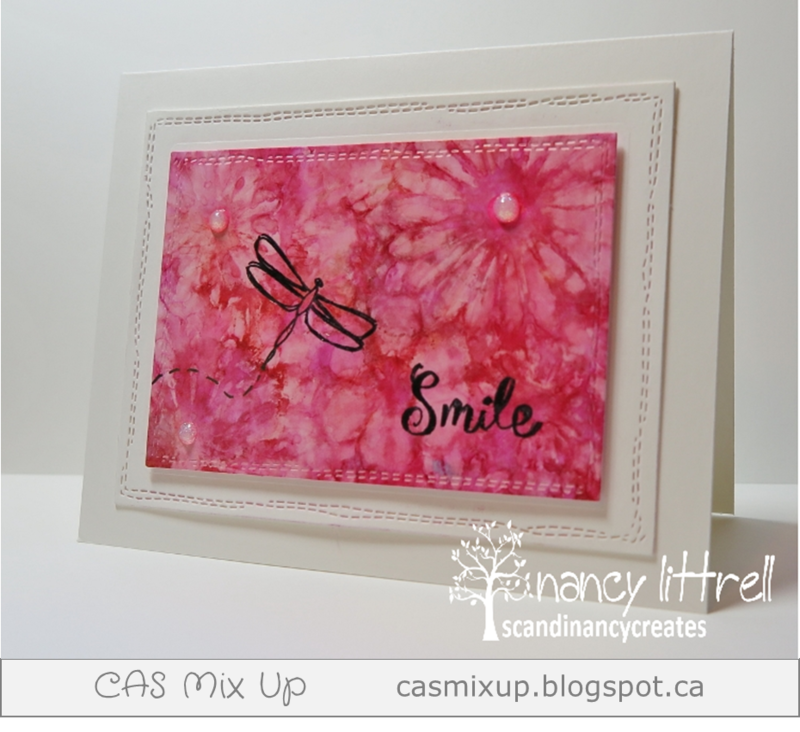 Welcome to October's Challenge at CAS Mix Up! We had lots of fantastic entries into last month's Marbling challenge. 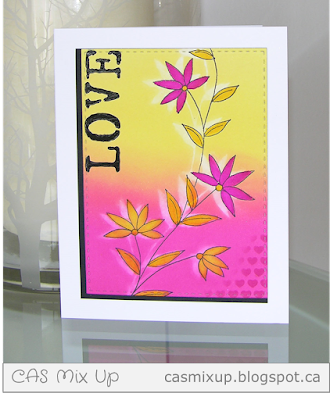 Congrats to Linda S. who was our Pick of the Month for September! Click HERE to see Linda's card along with some of the Outstanding Designs using Marbling. 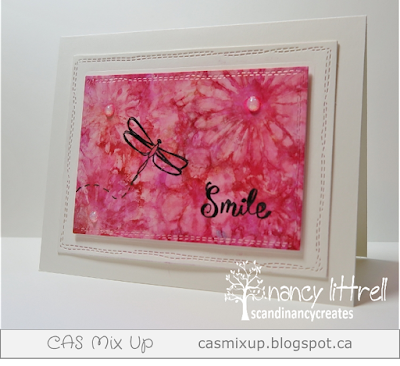 To see a close-up of all the beautiful Marbling card entries for September, check out CAS Mix Up's September Challenge Pinterest Board by clicking HERE. This month we want you to use ghosting on your card. 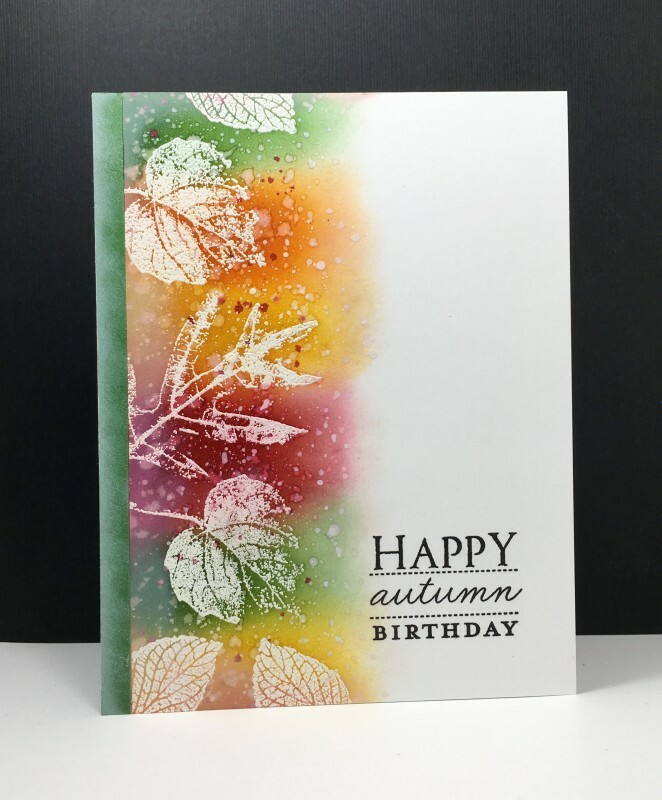 Make sure to include some stamping (a little or a lot), ghosting, and then pick something from the "Your Choice" list in the right sidebar to add in. 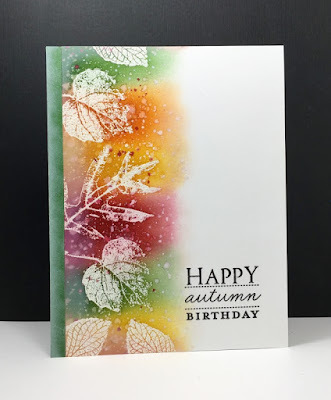 Ghosting is a simple technique where you create a colourful background using watercolour sprays, watercolours, distress inks or other dye inks. Then you use water to add an image or pattern. 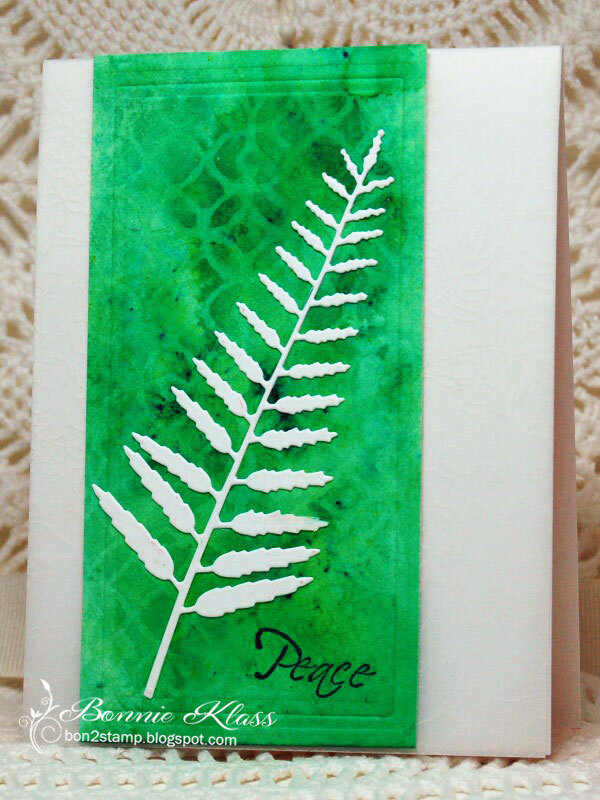 Let the water soak into your background for about 10 seconds, and blot with a paper towel. It will lift colours and your design will show. 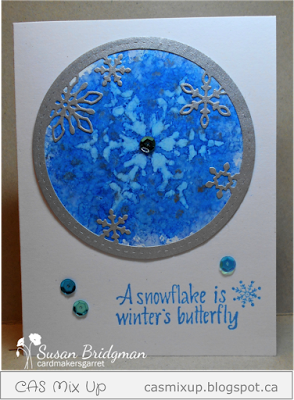 Make sure to let it dry thoroughly as the design shows more as it dries. 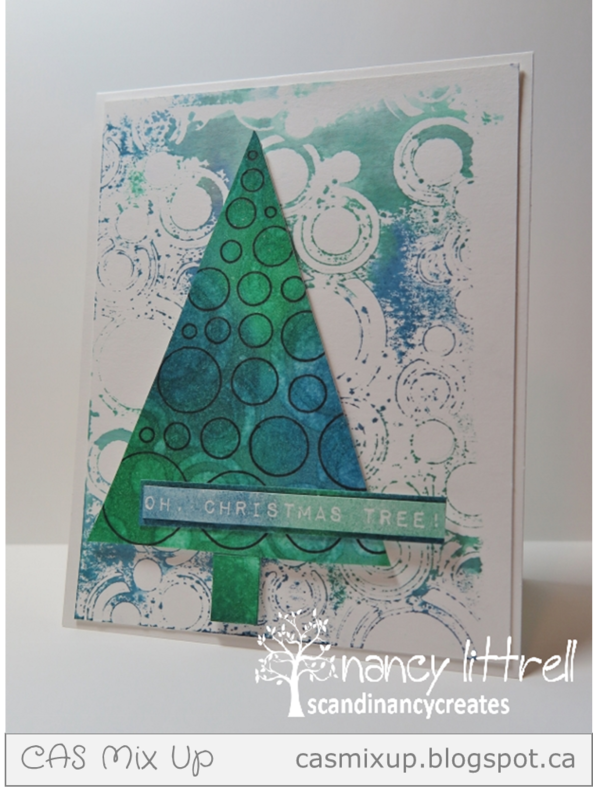 You can use stamps, stencils, or just splattered water to add your design. 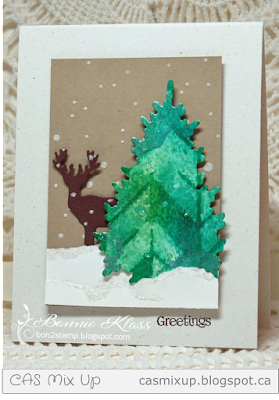 We are thrilled to have Mac Mable (The Sweetest of Peas) as our Guest Designer this month. 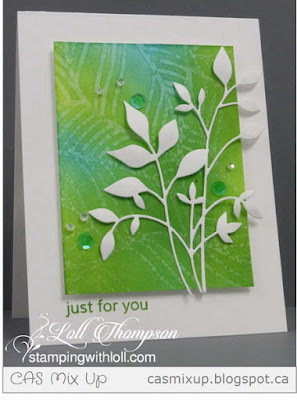 Mac made the most amazing card for August's challenge. Click HERE to see her winning card from the sprays challenge. 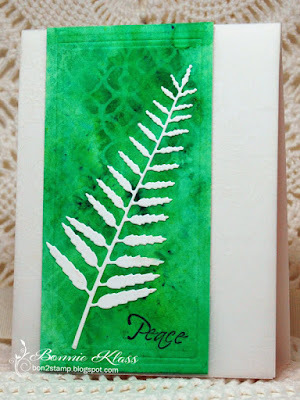 Distress ink blending, Stencil with distress inks, Stencil with black embossing paste, Stamping, Watercolouring, Gesso, Die Cutting, Ghosting with Stencil and Water to lift the colour. The challenge is open until October 24th. 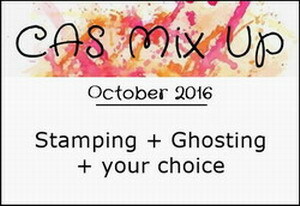 Come join the fun by adding your CAS Mix Up Ghosting card to the linky below! 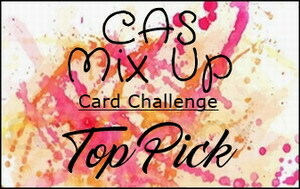 There is a new challenge starting today ... a "sister" challenge to CAS Mix Up. 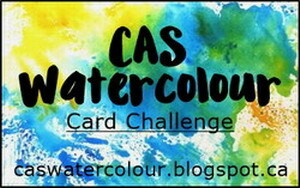 Click HERE to check out CAS Watercolour Card Challenge. There is also a Design Team Call. 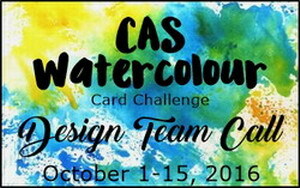 Check out the CAS Watercolour blog for more details about this month's challenge and how to enter the Design Team Call.